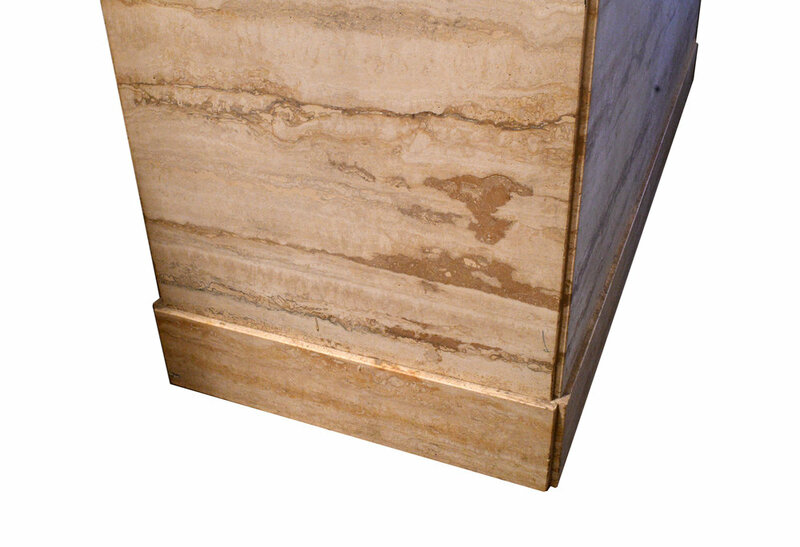 This beautiful altar is made of travertine, a type of limestone. 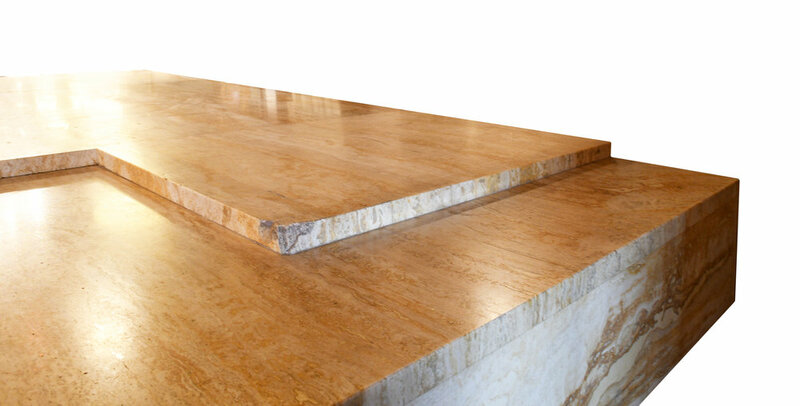 Travertine stone is famous for it's own unique surface and look. 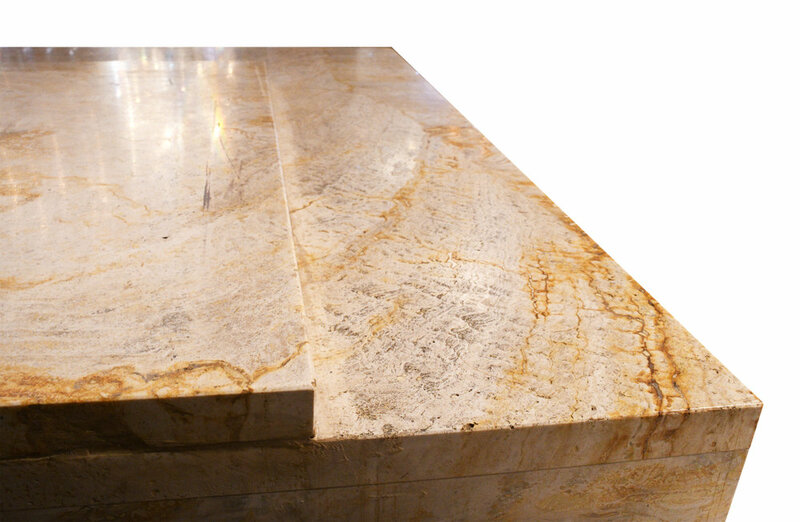 The altar has a smooth and warm-looking surface. It has four separate parts: the bottom part and three smaller pieces on top. 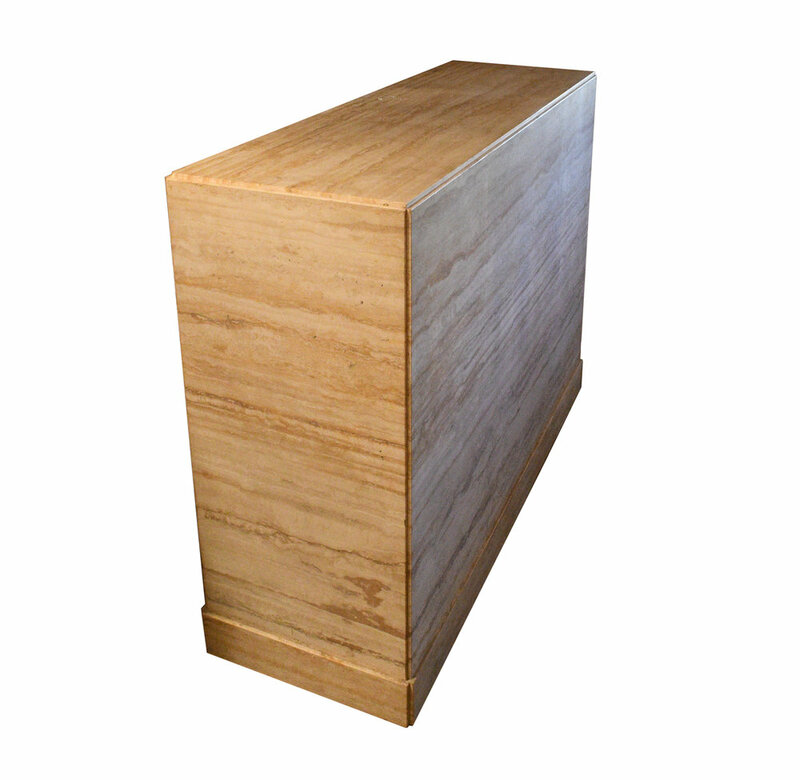 It could fit into a commercial space as a front desk or you could place it in your living area as display counter. 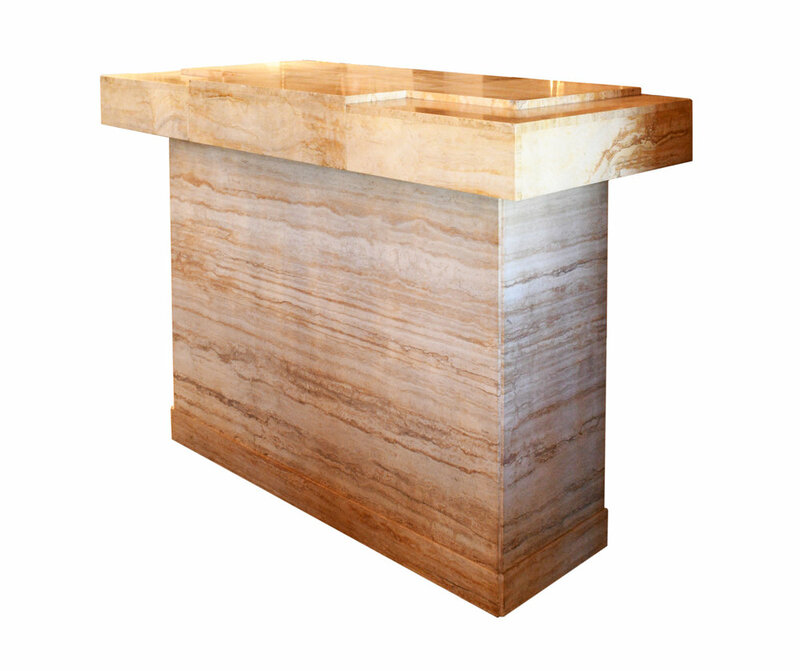 There are many innovative ways to use this gorgeous altar.